Wondering what happens to your car if you go bankrupt? Find out if you will be able to keep your car if you go bankrupt? Can you sell a vehicle before going Bankrupt? What happens if your car is on finance? Step 2: Find out which Court you have to apply to. Step 4: Complete the bankruptcy forms. Step 5: Take your bankruptcy forms to Court. Step 6: Attend your bankruptcy hearing. Bankruptcy can be an effective way to solve personal debt, BUT THERE ARE USUALLY OTHER, LESS SEVERE OPTIONS OPEN TO YOU, which need to be looked at. 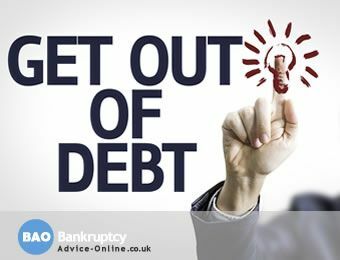 Going bankrupt should ALWAYS be considered as a LAST RESORT, and the Court will expect you to HAVE considered any bankruptcy alternatives and help with debt that you may qualify for. If you haven't already received advice from us and are considering how to go bankrupt, you can use our online bankruptcy test tool, which will provide you with a free and confidential assessment of whether you qualify for bankruptcy, the impact it will have on your current situation, and any other options which may be available to you. You cannot choose the court where you declare yourself bankrupt. You must attend the court within the district where you have lived for the greater part of the last 6 months. Unless you live in London, this will be your local County Court. If you have a business, or had one within the last 6 months, you will need to apply at the County Court in the area where you traded. 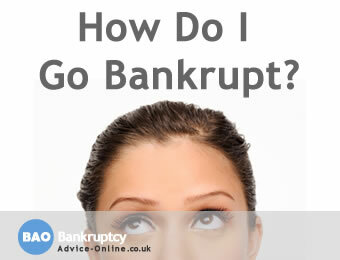 To go bankrupt you will first need to complete the following forms. You can get the forms, free of charge, from a local court that deals with bankruptcy. If you are not sure which Court to apply to you can call the Bankruptcy Advice helpline on 0800 368 8133 (freephone, including all mobiles). You have to pay the Official Receivers deposit of £525 and £180 Court fee. So the total you have to find before you can go bankrupt is £705. If you have a low income or receive benefits you may be exempt from the court fee, allowing you to go bankrupt for £525. The bankruptcy petition (Form 6.27) - this form is your request to the Court for you to be made bankrupt and includes the reasons for your request. The statement of affairs (Form 6.28) - this form shows all your assets (anything that belongs to you that may be used to pay your debts) and all your debts, including the names and addresses of the creditors and the amount you owe each one. on oath before an officer of the court or a solicitor. If you are dealing with a county court, the court will need the completed forms and 2 copies of each before it can accept your petition for bankruptcy. If you are taking your petition to the High Court, you won't need any extra copies. If you need help with the forms call the Bankruptcy Advice helpline on 0800 368 8133 (freephone, including all mobiles). Now you've completed the forms you'll need to take the forms to the bankruptcy court, along with two copies of each, the bankruptcy fee and the Official Receivers deposit. When you get to court, you need to hand the forms to the bankruptcy clerk, who will check all the paperwork has been completed correctly. The court will then either set a date and time for your bankruptcy hearing, or hear your case straight away. At your bankruptcy hearing, a District Judge will consider the bankruptcy petition to decide whether to reject your application, or to make a bankruptcy order. The court may reject your application if, for example, it thinks there is a better solution to your debt problem. If the court accepts your bankruptcy order, you’ll be officially bankrupt. Read our guide to Bank Accounts and Bankruptcy to see what will happen to your bank account after you've been declared bankrupt. You’ll get a letter from the official receiver within 2 weeks of the court making you bankrupt. 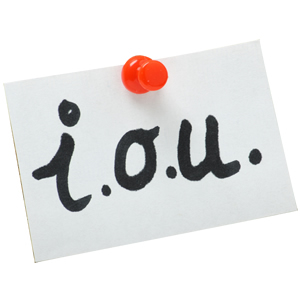 The official receiver is an officer of the court who will manage your bankruptcy at this stage.